4.1 First, How Much Money Are We Talking About Here? The Amazon Echo is a truly innovative product. This simple in appearance device connects you with a wide range of features and abilities, including the ability to command music, audiobooks, and news updates all with the power of your voice. Many people have them, many more people want them. And of course, since it is a product in the tech sector, they are also always in the process of making new ones. Amazon certainly does make it easy to figure out what to put on your Christmas list, don’t they? So just what should you be putting down on your Amazon Echo wish list? Let’s explore that question as we now dive into some Amazon Echo rumors and upcoming releases. 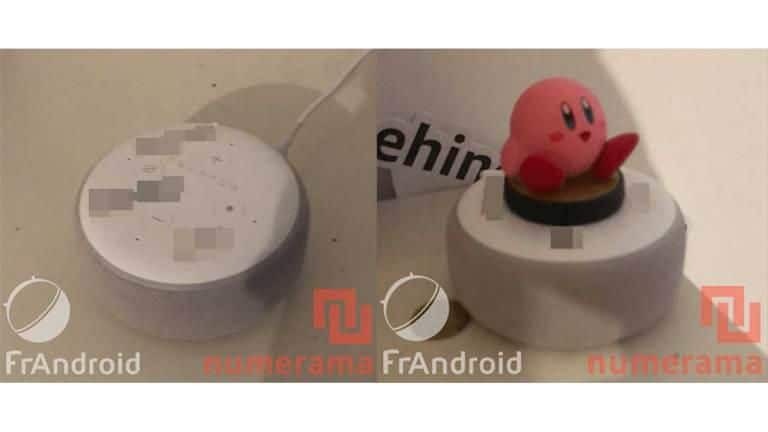 An image was recently released depicting what French publication Numerama claims to be the new Echo Dot. 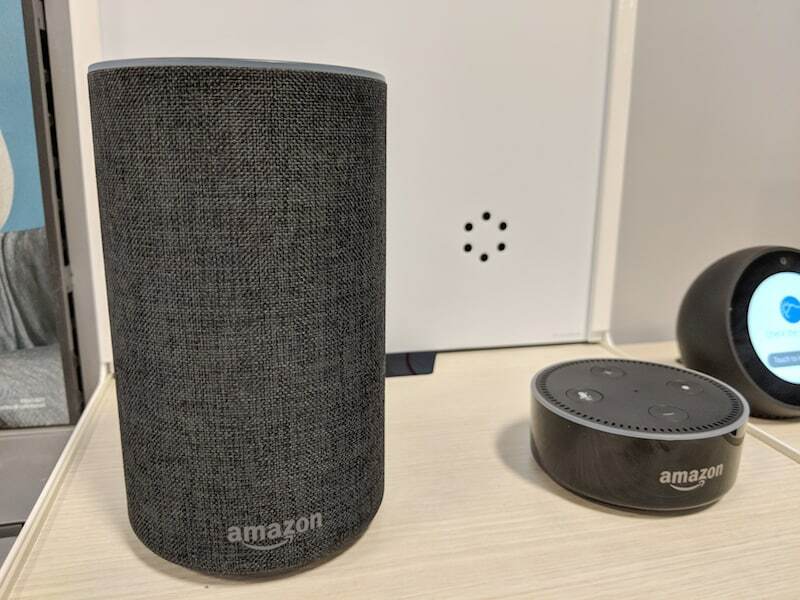 The image itself is a little ambiguous, and could very well depict a regular speaker, or even just something that has been made to look like an Echo Dot. However, the rumor has been collecting some traction, with other publications now stepping forward to endorse the leak as probably accurate. To give the image some credit, the device in question does, apparently have a make that is very similar to that of previous Echo models. You can clearly see volume and mute buttons that resemble the configuration of other Echo devices. If the rumor does prove to be accurate, we are in for a treat. The Echo Dot is a sweet, economical entry into the world of Echo. Many people actually use these devices for supplemental coverage in their house. For example, if their main Echo device is in the family room, they may invest in a few dots to scatter throughout the house. The dots can hook up with other Echo devices in order to ensure that you never miss a second of the program that you are listening to. However, this is not the only function of the Dot. They also can be used independently for people that live in smaller quarters, or simply people that don’t want to spend lots of money on the purchase of their Echo. The code name for this product is currently “Donut”. In terms of how it differs from Dots of the past, we can only speculate. However, if previous updates are any indication, we can probably expect to see some better sound quality coming out of the new Dot. This will actually be nice to see, as volume restraints is the primary reason that most people consider the Dot to be more of a secondary Echo than their main listening device. Amazon is known for being pretty tight lipped when it comes to rumors. Potential customers waiting for the company to clarify this leak should not hold their breath. We will learn more about the Echo “Donut” when Amazon is good and ready to tell us about it. For now though, we can certainly hope, right? We also can’t forget about the Amazon Echo 3. The third generation Echo has not had a release date announced yet, but given the release schedule of the past, many industry experts are expecting to start seeing more information in the fall. That said, we don’t know anything for certain. The Echo 2 was released last October, but Amazon is in no way beholden to that release schedule. Frankly, given the hold that they have over the industry, they have no need to stick to an annual release schedule anyway. Though if they do go the smartphone route and keep the new units coming faster than you can buy them, we think buyers will probably still be lining up at the door to get their hands on them. We don’t know a lot about this project yet. Like we said, Amazon plays their cards pretty close to the chest. Given their popularity, they have plenty of reason to. When you already hold 75% of the European smart speaker market, why get gimmicky with product teases, right? They can definitely get away with releasing information whenever they feel like it. Still, it is always fun to speculate a little bit, right? We think so anyway. The Echo 2, and the Echo one for that matter, were both solid products. Still, that is not to say that neither left nothing to want for. Even a really good product can use the occasional improvement, right? Right. Like we said, it is impossible to say what will be on the Echo 3, but that doesn’t mean that we can’t have a little bit of fun speculating. Let’s now take a close look a few things we expect to see, or would like to see in the Echo 3. First, How Much Money Are We Talking About Here? Good question. Also a very challenging question. Echo prices can vary pretty widely, from the very affordable Echo Dot, to the pricier Echo Show, that features a nice screen for video viewing. Since this latest product is going to be in the classic Echo product line, we shouldn’t expect a screen, but rather the cylindric design that has been common to the Echo and the Echo 2. It is from those product’s release prices that we can get a decent idea of how much the Echo 3 might cost. The Echo and Echo 2 have been consistently priced at $100 since their release. Naturally, there is no guessing how close this new unit will stick to that trend. However, if you are trying to devise a savings strategy for this purchase, it might be a good idea to plan on spending somewhere around $100. Of course, the initial products were good enough to establish the Echo as one of the top selling smart speaker systems in existence. That being the case, it stands to reason that they are doing most things pretty well. However, here are a few tweaks we would like to see in the Echo 3. The sound quality on most Echo products is generally pretty good. However, the trend with Amazon has been to improve speaker quality with each iteration of the Echo. We saw it in the transition between the Echo and the Echo 2, and we can expect to see it again here. Many feel that the Echo line currently struggles a little bit with music. The general consensus is that it does just fine with radio, podcasts, and audiobooks, but does leave something to be desired for users that want to rock out. If you have used an Alexa before, you know exactly what we mean by that heading. Alexa is good for most things, but every once and awhile she goes off the rails. Have you ever asked her for a weather update, only to have her respond with a heavy metal song? Us too. Sometimes, everyone’s favorite AI voice struggles a little bit with basic commands. To cut Alexa a little bit of slack, she does do pretty well for a talking radio. Regardless, it would be nice to see her improve her voice recognition capabilities a little bit with this next model. It’s bad manners to start playing music because you didn’t understand what someone said. Alexa is old enough to know better. An updated set of skills is pretty much inevitable for this new product. Alexa actually gets new skills constantly, even without the release of a new product. However, new hardware creates new opportunities. We would really love to see some new skills that are oriented around a new generation of technology. Better sound, and a smarter Alexa could very well translate into a new set of skills that we will all be crazy about. Last but not least, can we get a little bit more love for Europe? Some of Alexa’s premium features are getting stranded stateside. Alexa is now learning how to send text messages, and perform other small but interesting tasks in the United States that she has not quite brought overseas yet. Alexa may be an American woman, but it is time for her to show a little bit of love for the rest of the world. A new entry into their flagship product line is a perfect opportunity to release premium features to the rest of the world. Most of today’s conversation is pure speculation and fantasy. We don’t know what to expect from the new Dot, or the upcoming Echo 3, and the way that Amazon keeps their privacy private, we shouldn’t expect to learn too much more before they are good and ready to share with us. However, it is always fun to play the wanting and wishing game. While there is no way to know exactly what Amazon has in store for us with these new products, we can safely bet one thing. Whatever is coming will probably be pretty awesome.